I first saw this in a magazine a couple of years ago. 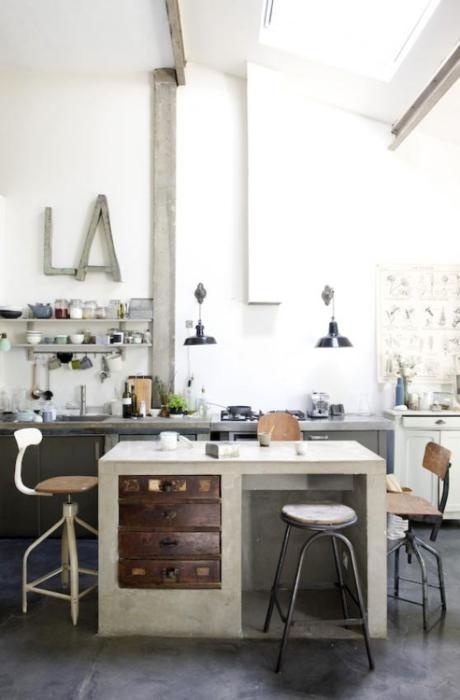 I remember reading that the owners had that poured concrete island bench custom made around those vintage wooden drawers. Coolest thing ever. The whole home is really amazing. Check it out at designrulz.